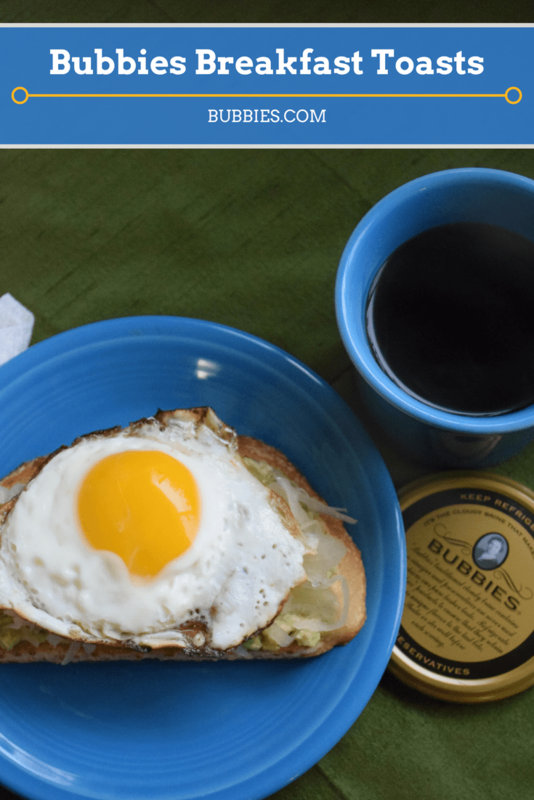 Bubbies | Recipes and Information From Bubbie! Have you ever noticed the artwork on a Bubbies jar? We know you might be distracted by the deliciousness inside the jar, but the label of each Bubbies jar has a fun illustration on it. From Bubbie having a picnic with bears, to Bubbie turning cabbage and peppers into her famous sauerkraut, each illustration tells a story. So who is behind these adorable labels? Her name is Valerie Valdivia and she has been creating artwork for Bubbies Fine Foods since 2014. We wanted to take you behind the scenes and share a little bit about her! While her artistic journey only began with Bubbies five years ago, she has been drawing and painting for as long as she can remember. She got serious about studying art while attending Chapman University, obtaining a degree in Graphic Design. She’s been practicing and developing her digital artwork through illustrations since then and is constantly learning new ways to improve her process (though we think it’s already perfect). “Mid-century cookbooks influenced the look for the artwork in this cookbook and I had fun experimenting to create a distinct, recognizable vintage looks,” she says. Where did you find your inspiration for the artwork on the labels? What is your process for creating a new piece? Last but not least, what is your favorite Bubbies product? We hope you’ve enjoyed this Artist Spotlight and next time you have a Bubbies jar in your hand, make sure to check out Valerie’s artwork on the side! You can also find her artwork on Bubbies headers within the website and on Bubbies Facebook. The Superbowl is this Sunday, and you know what that means- time for some serious snacks! We’ve collected an assortment of our favorite Game Day-worthy recipes from around the net, featuring some great food bloggers. Be sure to check out their other delicious recipes, and connect with them on social media! While chicken wings are generally considered a staple snack, we think these Nashville Hot Chicken Quesadillas from Buy This Cook That might be your new go-to! 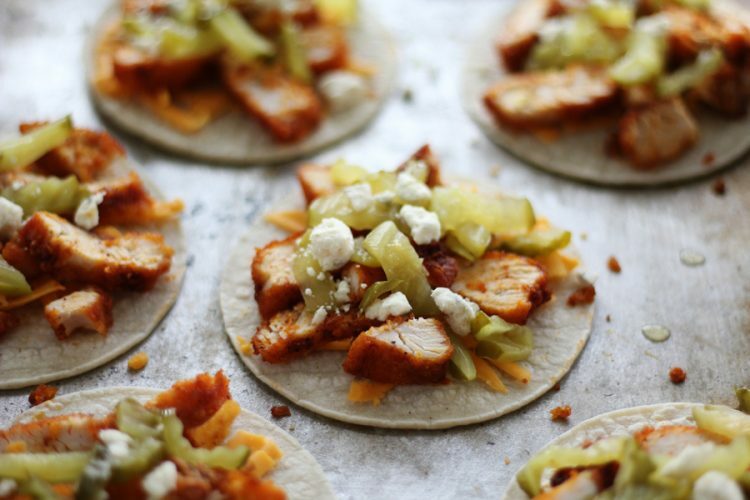 Spicy chicken breasts, cheese, tortillas, and pickles are a match made in heaven! 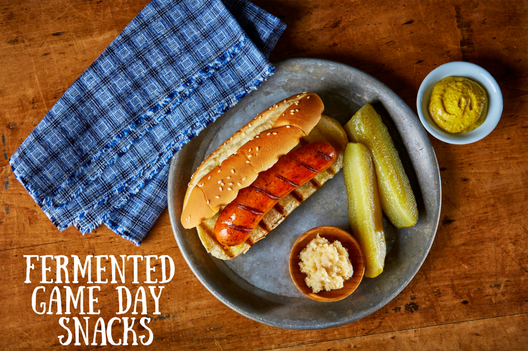 What’s not to love about finger foods- especially when they combine a winning combination of flavors like bratwurst and sauerkraut? 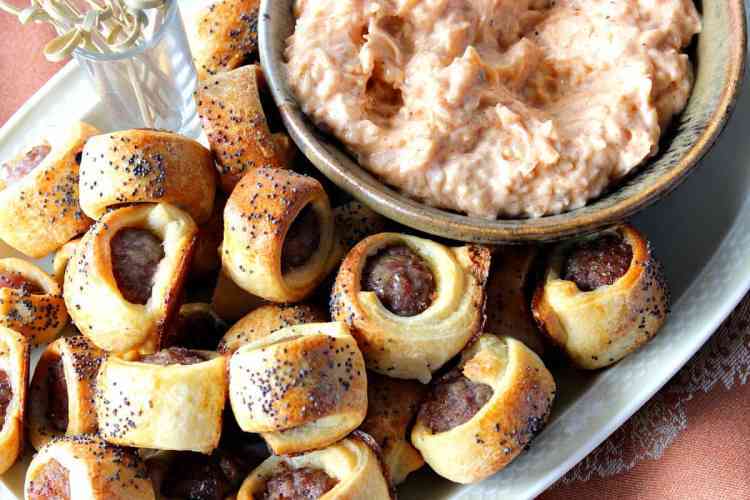 These Crescent-Wrapped Bratwurst Bites with Sauerkraut Dipping Sauce from Kudos Kitchen By Renee look delicious! If you’re a fan of German flavors, you’ll also enjoy these German Potato Skins from the Crumby Kitchen! 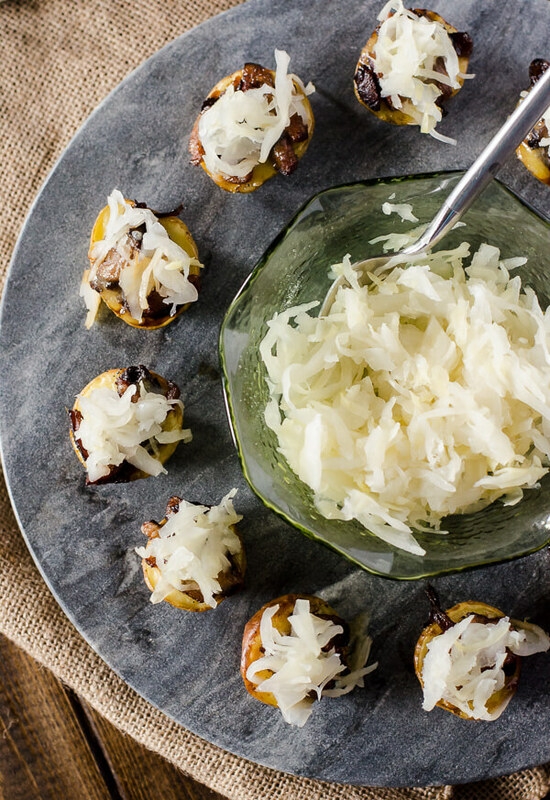 Crispy baby potatoes, caramelized onions, bratwurst, and sauerkraut- what’s not to love? No Superbowl party would be complete without a dip! 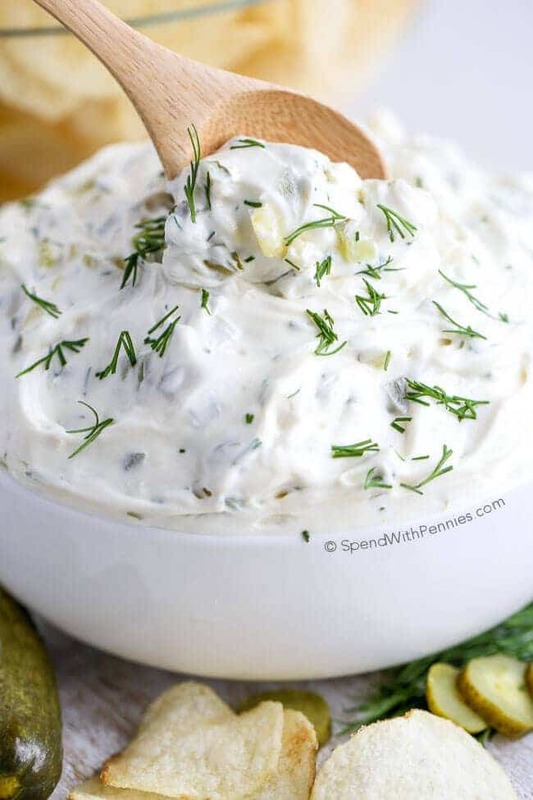 If you love pickles, this delicious and easy Dill Pickle Dip from Spend With Pennies is sure to be a crowd pleaser! Pretzels are a great Game Day snack all on their own- but when they’re stuffed with sauerkraut and sauerkraut- amazing! 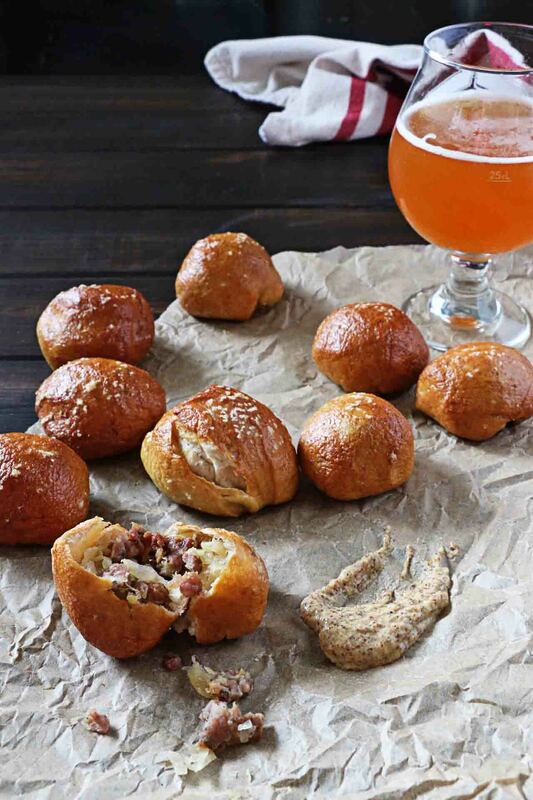 These Bratwurst and Sauerkraut Pretzel Bites from Steele House Kitchen are a must-try! Frickles are the best, but we have to admit we enjoy “mock frickles” even more! 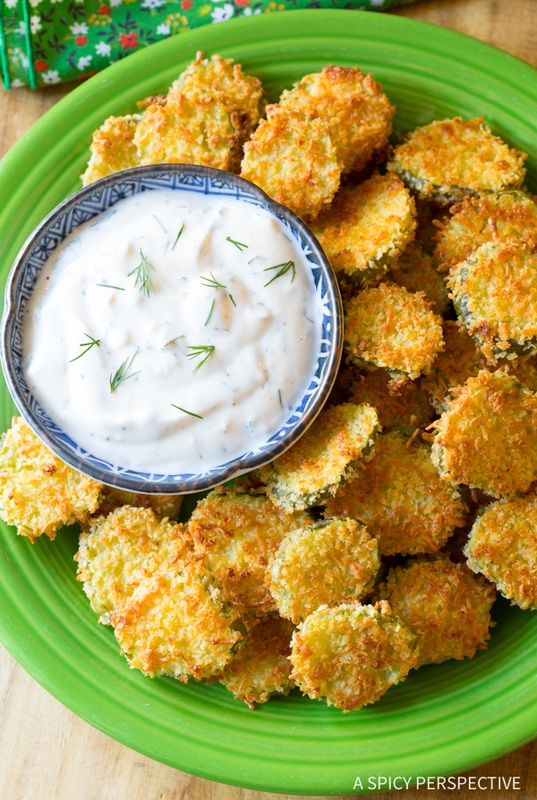 Try these Oven Baked “Fried” Pickles with a tasty Garlic Sauce from A Spicy Perspective for a clean-eating take that is just as delicious as the fried version. Mornings can be hectic, but your breakfast doesn’t have to be! A piece of toast can be the perfect palette for a delicious meal. 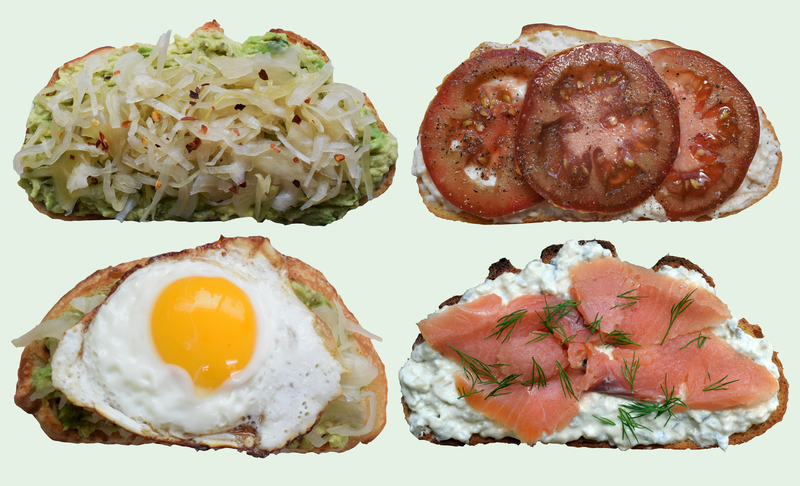 Make one of our tasty, savory toast recipes for a quick and easy breakfast, brunch, lunch, or treat! Toast bread to your liking; cut avocado half and mash onto toast. 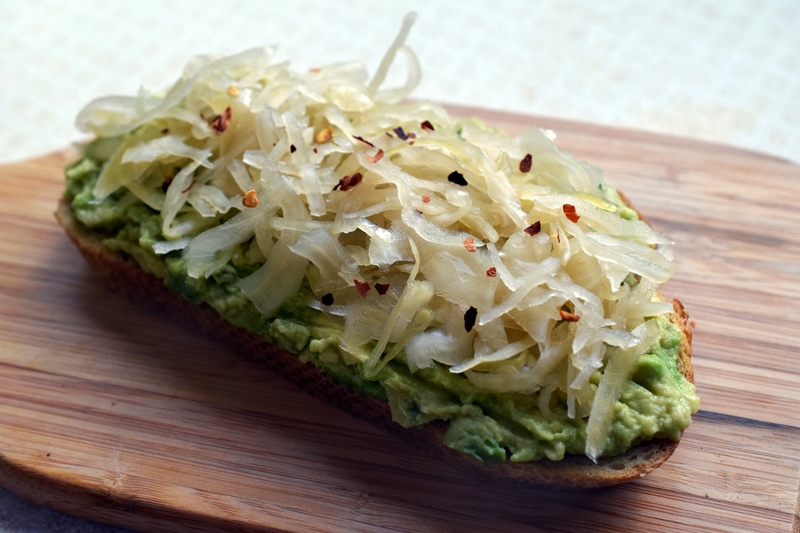 Drizzle lemon juice over the avocado, add sauerkraut, then garnish with red pepper flakes. 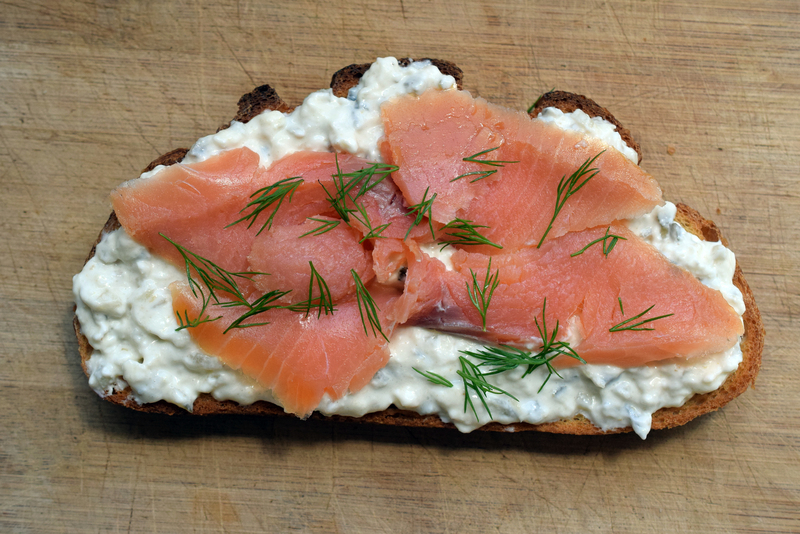 Toast bread to your liking; in a small bowl, mix horseradish and cream cheese until it’s well blended. Spread the horseradish mixture onto toast. 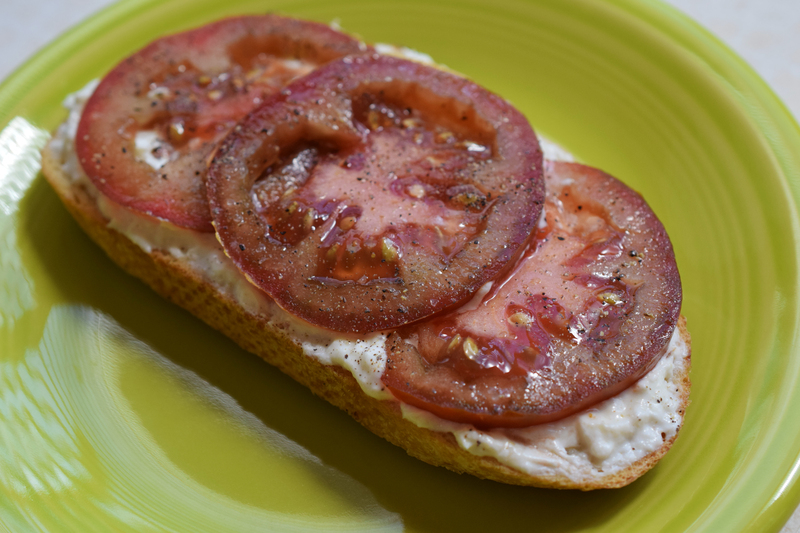 Thinly slice tomato, layer on to the horseradish mixture, then sprinkle over salt and pepper. 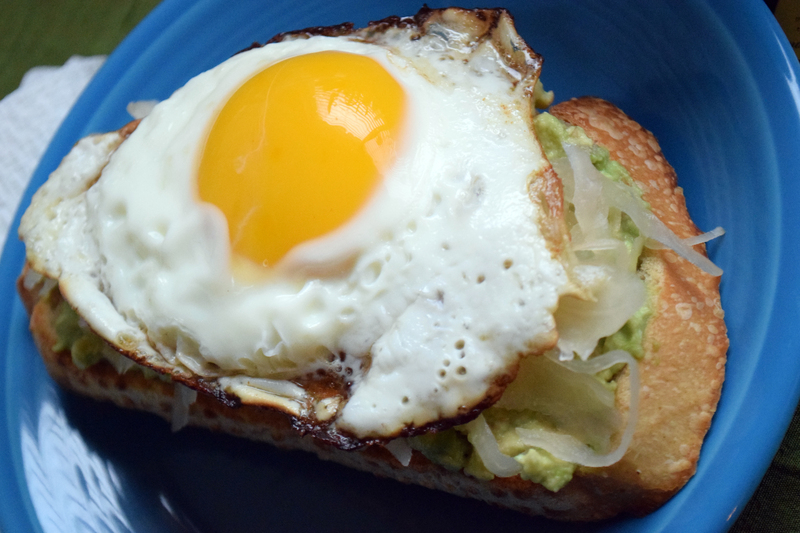 Toast bread to your liking; cook eggs. We chose to do over easy but scrambled or sunny side up works too! Cut avocado half and mash onto toast. Add drained sauerkraut, and top with eggs. Sprinkle with salt and pepper.